I'm considering getting a Kindle so I was reading some info about it. At the page explaining the difference between 3G and WiFi version I found a link to a map of 3G coverage across the world. 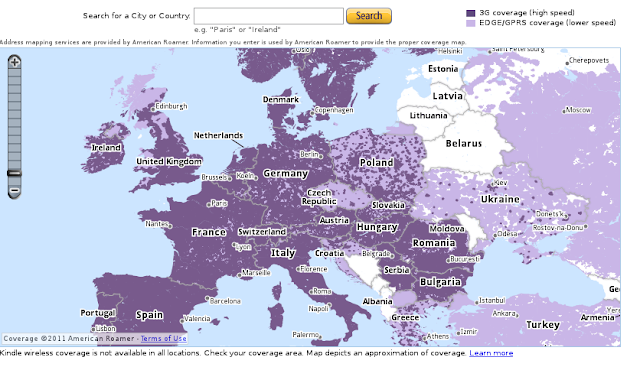 Apart from missing 3G coverage in the Baltic states, which is apparently an error, who do you think is the EU's worst covered country? Could it be the Czech Republic, where the office regulating telcos spends taxpayer's millions in badly camouflaged telcos' PR campaigns, instead of fighting the cartel that's formed in the market ?